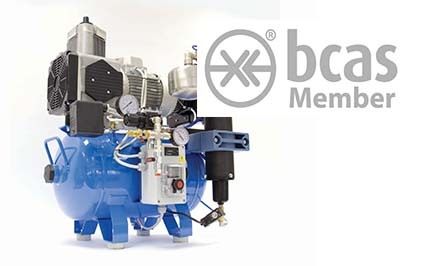 In 2018 BCAS (British Compressed Air Society) instigated changes to its legislation for Dental Compressors. At Hague Dental we offer a Pressure Systems’ Compliance Written Scheme and the NEW Pressure System Inspections (PSI’s); in line with the Pressure Systems Safety Regulations for Dental Compressors. The PSI replaces the old PVI (Pressure Vessel Inspection). For more information and to speak to a Compressed Air Expert please contact our Technical Department on 0800 298 5003.